POINT DE VUE DE L'EXPÉRIENCE un pélican de cette unité de 13ème étage avec crainte vues impressionnantes Orient et d'Occident. ENJOY OBSTRUÉS SUNSETS ANNÉE! Piscine chauffée, court de tennis, salle de gym et des offres WIFI GRATUIT. Les installations comprennent laveuse / sécheuse, CARRELE BALCOLY qui se étend entièrement à travers MASTER CHAMBRE AU SALON. Il ya une des chaises longues et une table avec 4 chaises. Chaises de plage et parasol inclus (de saison). It was a very nice condo in a quiet part of the Walton Beaches. Condo was super quiet as well and the views are just as shown in the pictures. We saw dolphins, military jets flying by, and families on the beaches from the 13th floor. This isn't the party beach locations and I'm not sure we saw a college kid the whole time!! Condo kitchen was more than sufficient for dinners and nice. Groceries were very expensive! Felt like we were getting ripped off due to location. Very clean condo and the master bed wasn't bad at all. It was a very nice trip and I'm glad the weathermen in Florida are as bad as they are in Iowa because they called for rain and cold all week and everyday was good enough for golf and a little sun burn! My wife and I spent seven nights at this unit during the last week of January. Not surprisingly, the weather was unseasonably cold the entire week. Not to worry. The condo was bright, comfortable and clean, the appliances all worked great and the view as always was awesome. So, we found absolutely nothing wrong with staying indoors the entire time! Although there are abundant eating places in the area, we prepared several meals in the well-equipped kitchen. One of the caveats of staying at One Seagrove Place is the outstanding Goatfeathers seafood market, which is right next door! We cooked some deliciously fresh tuna steaks (twice) and grouper fillets. This was our first experience with VRBO. It simply could not have been better. Condo was as described and clean. Overall it was a little smaller than we anticipated, especially the master bath and kitchen if you like to cook. The bed and pillows were very comfortable. View from the balcony is just spectacular and the location of OSP is perfect! Lovely view of the gulf. Needs updating to the kitchen and bathrooms. We love this location! Beautiful view and family friendly. Marc Boles was great to work with from the start. The unit was well- equipped with necessities except for a hair dryer. Loved the view! 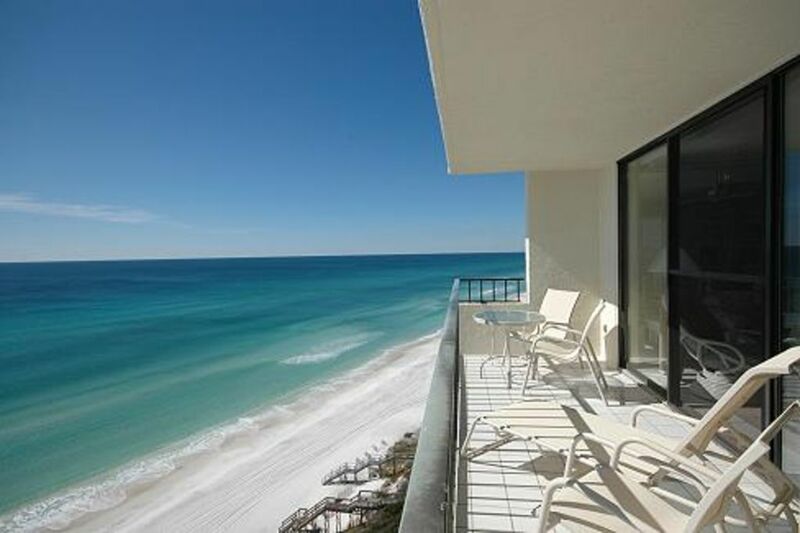 We have stayed at One Seagrove Beach before and love the location. Easy access to the beach and great food options close by. We would definitely stay here again!